New research led by space scientists with SSERVI’s UK international partner, Open University (OU), reveals that most of the water inside the Moon was delivered by water-rich asteroids rather than comets. The findings in the paper: An asteroidal origin for water in the Moon in Nature Communications, challenges the Apollo-era view of a dry Moon. Led by Dr Jessica Barnes working with Drs Mahesh Anand and Ian Franchi in the OU’s Space Science priority research area, the researchers combined chemical and isotopic data from lunar samples, meteorites and comets to demonstrate that wet asteroids delivered the majority of lunar water, while comets contributed (much less than 20% of the total water in the Moon) only a small proportion of volatiles (those elements or compounds that have low boiling points) to the interior of the Moon. This work has important implications for the types of planetary objects impacting the Earth-Moon system shortly after the formation of the Moon. “There exists every possibility that rocks from the far side and Polar Regions of the Moon may provide further clues to the origin of lunar water.”To fit with the existing models for how the Moon formed and solidified, the researchers suggest that this water was delivered to the Moon very early on, within the first 200 million years of the Moon’s lifetime. The field of lunar volatiles research has grown exponentially over the last decade, and we are now able to say that water in the Earth and Moon shares a common origin, but there is still much left to do, since only ~ 2% of the Apollo lunar sample collection has been investigated for water and other volatiles. 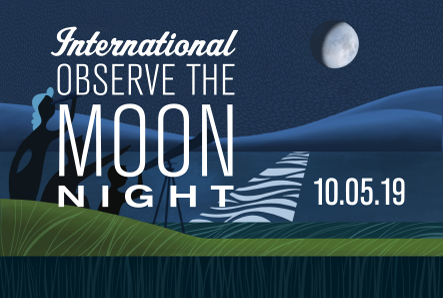 OU academics will deliver a related OU OpenMinds Talk: Why is it time to revisit the Moon on 20 July on National Moon Day. 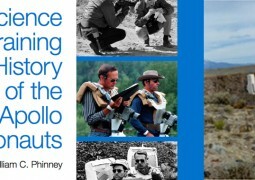 William Phinney of SSERVI’s LPI team has produced a new volume on the history of Apollo astronaut training. If you weigh 120 pounds, you would weigh only 20 pounds on the moon.